Stay on top of your game! 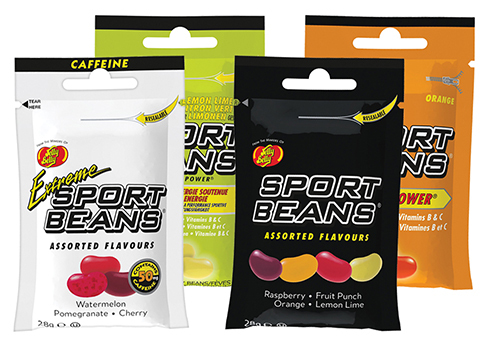 Sport Beans energizing jelly beans are packed with the nutrients you need to blast your way through any athletic endeavour. Used by the Jelly Belly Pro cycling team, top athletes & weekend warriors alike, they are a clinically proven, great tasting way to maximise your performance. Portable Power® whenever you need it!